Jack’s sent me the correct part the first time and it worked like a champ! Thanks! Starter works fine and at a fair price. I must say the first one was defective. However , staff was quick to correct it. New starter sent that week. It functions as should. Thanks Jacks ! I will make future purchases. Received part in a short time and fit the mower. 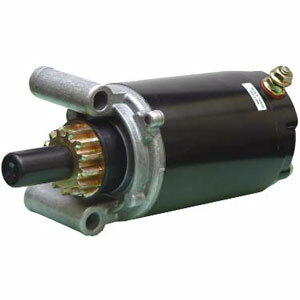 Ask us about the Arrowhead SAB0037 SAB0037 Starter. Please no repair questions. Your Q&A may be posted to Jackssmallengines.com to help other shoppers, like you, with their purchasing decisions. Thank you.